This practice complies with the Data Protection Act 1998 and General Data Protection Regulation (GDPR) 2018. This means that we will ensure that your information is processed fairly and lawfully. This policy (together with our Cookies Policy) sets out the basis on which any personal data we collect, or that you provide to us, will be processed by us. It does not include data where the identity has been removed (i.e. anonymous data). Please read the following carefully to understand our views and practices regarding your personal data and how we will treat it. Contact data (such as name, address, email address, telephone number) for the purposes of direct mail, email and text marketing. Special category data concerning health (your past and current medical & dental records, medical history, medication, your doctor’s name and address, warning cards or bracelets, alcohol and drug use and correspondence relating to you with other health care professionals, i.e. in the hospital or community services) for the purposes of the delivery of safe and appropriate dental care. Treatment data (such as radiographs, clinical photographs and study models) for the purposes of providing you with the best treatment. We may collect and process the following data about you in operating the website and performing any of our services and treatment(s). Information you give us (including information you give to Clinical Directors, Specialists, Dentists, Orthodontists, Hygienists and Therapists who are contracted to work for us). You may give us information about you by filling in forms on our website www.westhousedental.com or any website wholly owned by West House Dental, or by corresponding with us by phone, email, in person or otherwise. Technical information, including the Internet Protocol (IP) address used to connect your computer to the internet, browser type and version, time zone setting, browser plugin types and versions, operating system and platform. Information about your visit, including the Uniform Resource Locator (URL) clickstream to, through and from our site (including date and time); products you viewed or searched for; page response times, download errors, length of visits to certain pages, page interaction information (such as scrolling, clicks and mouseovers), and methods used to browse away from the page and any phone number used to call our customer service number. 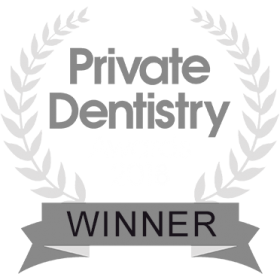 Our Specialists, Dentists, Orthodontists, Hygienists and Therapists are third parties working for us as contractors, however, they are contractually bound to us with regard to obligations of confidentiality in the same way as our employees and by professional obligations of confidentiality. We are also working closely with third parties (including, for example, business partners, subcontractors in technical, payment and delivery services, advertising networks, analytics providers, search information providers and credit reference agencies) and may receive information about you from them. The website may include links to third party websites, plugins and applications. Clicking on those links or enabling those connections may allow third parties to collect or share data about you. We do not control these third party websites and are not responsible for their privacy statements. When you leave our website, we encourate you to read the privacy notice of every website you visit. Processing is necessary for the performance of a contract with the data subject or to take steps to enter into a contract such as the provision of the services by us. Processing is necessary to comply with a legal obligation such as financial, tax and contractual laws. Data is processed by or under the responsibility of a professional subject to the obligation of professional secrecy under Union or Member State law or rules established by national competent bodies or by another person also subject to an obligation of secrecy under Union or Member State law or rules established by national competent bodies. You will receive marketing emails until you unsubscribe, either by contacting us or by clicking on the unsubscribe link at the bottom of the email. Right to rectification i.e. the right to require the rectification of any inaccuracies of personal data. Right to erasure i.e. the data subject has the right to require the erasure of personal data concerning them. However, this is qualified by the lawful basis as a healthcare provider to retain personal data in connection with the patients care and treatment. Right to data portability i.e. the data subject has the right to receive their personal data which is held by you in a structured, commonly used format. Right to object i.e. the data subject has the right to object on grounds relating to the processing of their personal data. (e.g. personal profiling carried out that is not in connection with the public interest). Please contact the practice for a comment, suggestion or a complaint about your data processing at privacy@westhousedental.com, or 020 8866 3025 or by writing to or visiting the practice. We take complaints very seriously. If you are unhappy with our response or if you need any advice you should contact the Information Commissioner’s Office (ICO).